We’re in Booth #2275 and the show goes through Wednesday, September 28, 2016. Exhibit hours 9:00 a.m. to 5:00 p.m.
At the Cornell Pump booth, you’ll be able to see the new SM slurry pump. Download a Brochure about this new pump series. Plus see a new filter feed pump system that can revolutionize ease of use, boasts high efficiency, and minimizes downtime. 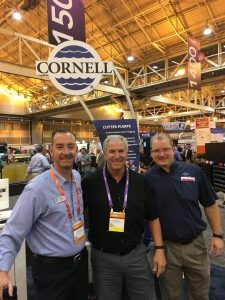 Cornell at WEFTEC This Week! 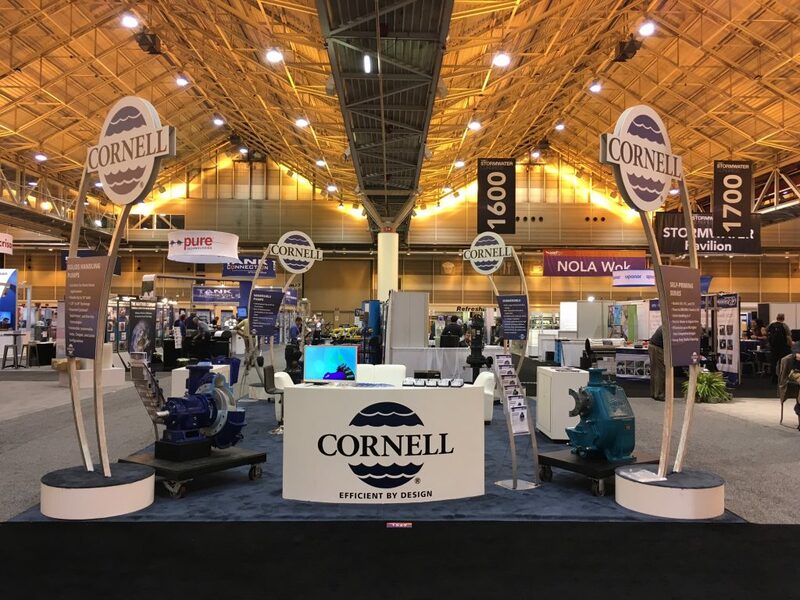 Cornell Pump is displaying at WEFTEC in New Orleans. 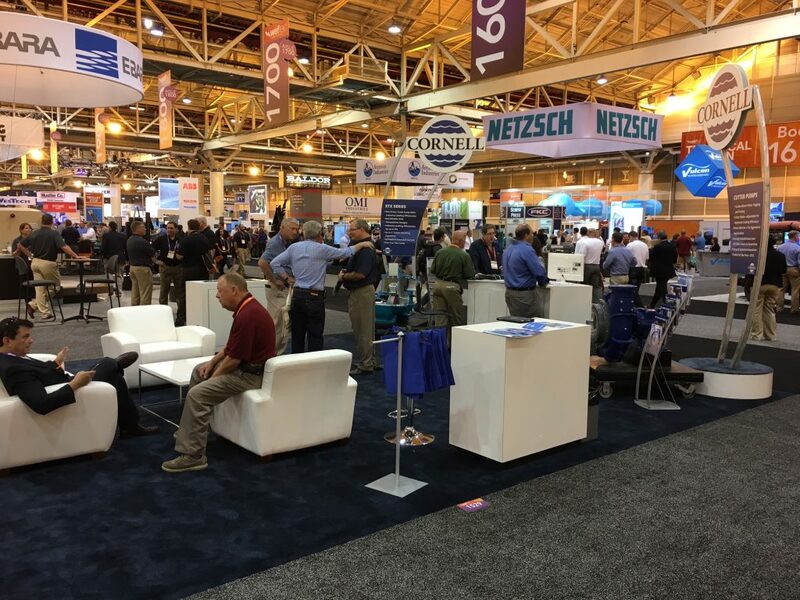 Open 8:30 a.m. to 5:00 p.m. at the Ernest N. Morial Convention Center. Cornell Pump is in Booth #1529, today until Wednesday. Stop by to see the Waste Warrior cutter (link), designed for aggressive ragging. 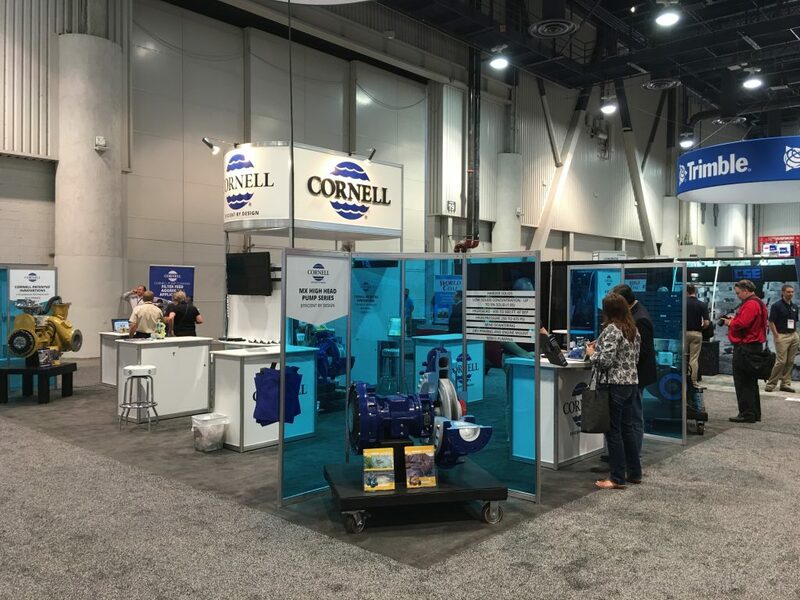 The Cornell booth also features our STX line of self-priming pumps (link), designed for high efficiency and long life. 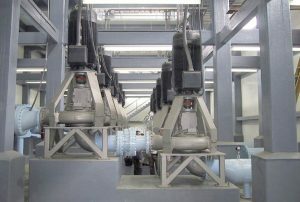 Plus see our Submersible (link) and Immersible (link) lines of pumps for municipal applications. The Immersible line is specially designed to use readily accessible motors, while being able to be submerged for up 30′ for two weeks, and the submersible line is a premium efficiency design. We’d love to see you and answer questions! 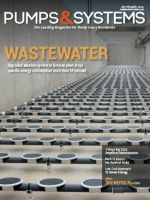 Ron Aceto, Municipal Market Manager/ Mid-Atlantic Regional Manager, is a Cover Series author in the September 2016 issue of Pumps&Systems magazine. Learn about the differences between grinder, cutter, and chopper pumps, their respective pros and cons, and when and where best to use them. Congratulations Ron, on job well done! Read the article on the Pumps&Systems website. 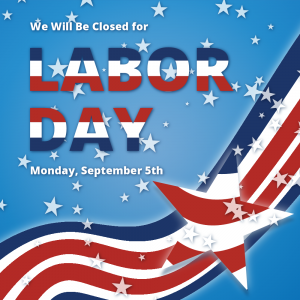 We will be closed on Monday, September 5th, 2016, for Labor Day. We will re-open with regular hours on Tuesday, September 6th, 2016. Have a great weekend! Cornell Pump Company is pleased to announce that we have a launched a new website today! Incorporating information about all of our pump models, with application stories and data sheets more readily accessible, the website is also device optimized. It will be easier to view on your smart phone and tablet, and more useful on your desktop or laptop. Red bull team stopped by Cornell Pump today. We’re already high energy, but appreciated the additional pick me up! 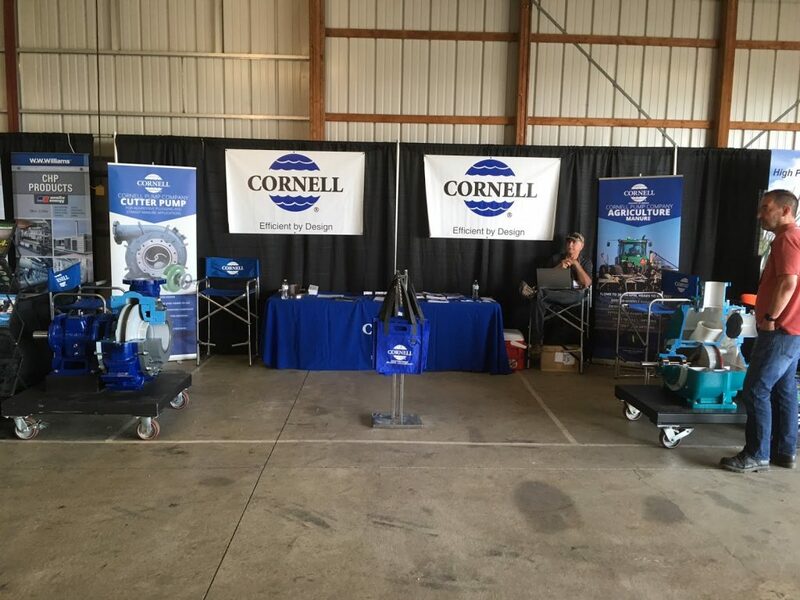 Cornell Pump, a recognized sponsor of the North American Manure Expo, is exhibiting at the show running through August 4 in London, Ohio at the Molly Caren Agricultural Center. Visit us at booth number #2, and see the exciting new 6819MPC, designed to handle a 3” solid with ease. The 6819MPC is available in hard metal or white iron for superior abrasion resistance. Visit the Cornell website for more information about pumps for the Manure Industry. 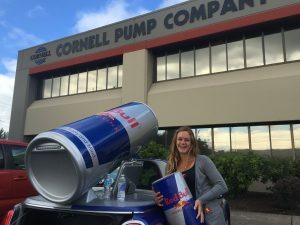 Note: Cornell Pump Market Managers provide periodic articles to the blog, to discuss issues and developments and pump. The articles are meant to be more conversation and less technical, while still explaining important pumping concepts. In this edition, Cornell Pump Industrial Market Manager Derek Petersen discusses a method to determine suction lift. Look up the amount of pressure the atmosphere (weight of air) is pushing down at a particular elevation. Calculate how much energy all the valves, pipe, fittings, elbows, etc., in the pump system cost the system in terms of flow. Compare how much the system could produce versus how much energy it going to cost. The first thing to understand is that every pump has an energy requirement needed to run without cavitation. This required energy is call the Net Positive Suction Head Required or NPSHR. Thinking of NPSHR another way, it’s the absolute pressure a liquid must have to avoid creating microscopic, damaging vapor bubbles in the liquid being pumped. Those bubbles are cavitation and they can harm a pump and shorten its useable life. 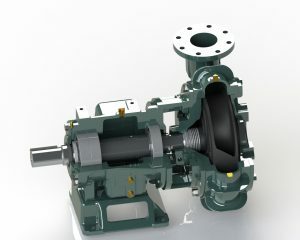 The NPSHR is inherently part of the pump design [how steep the impeller vanes, the speed of operation, the shape of the volute, etc.,] and is listed on the pump curve at your specific design point. NPSHR is calculated by Cornell Pump in our test lab empirically. It is important to remember that the NPSHR will vary at different operating conditions for a pump, and can be different for the same operating conditions when comparing two different pumps. Next, the maximum a centrifugal pump can pull is constrained by nature. Atmospheric pressure exerts about 14.7 pounds per square inch of force on everything (you, a car, liquid) at sea level. That 14.7 psi on liquid allows it a maximum of 34 feet of head (push) at sea level. Again these values have been calculated for you. Not by pump manufacturers per se, but starting with enlightenment scientists looking to understand barometric and atmospheric pressure. Atmospheric pressure is understood today to be about 34 feet of head at sea level. If you were on the top of Mount Everest the psi would only be 4.4 and the energy impart would be 10.2 feet of head as a maximum. So, you have a known amount in NPSHR provided by the pump manufacturer for the particular model, and you can consult a chart on atmospheric pressure. You will need to subtract all other losses from the equipment in order to determine the NPSHA of your system. Losses would also include your static suction lift in feet or the vertical distance from the water level to pump. The friction loss in feet in the suction pipe or the pressure lost when the water rubs against the walls of the pipe and losses created from vapor pressure which is a result of the temperature of the liquid. It also advisable to include a safety factor to NPSHA. In case of storms (causing lower atmospheric pressure), changes in pipe diameter due to corrosion, etc., the factor allows the pump to operate in less than ideal conditions. Cornell recommends adding 2’ of loss for the NPSH margin. Finally, once you know the losses for your NPSHA, you can add that to NPSHR, and then compare it the atmospheric pressure for the elevation. That will be the amount of static lift available. Note: In order to avoid cavitation and pull a suction lift with your pump the NPSHA of your system must always be higher than the NPSHR (of the Pump). 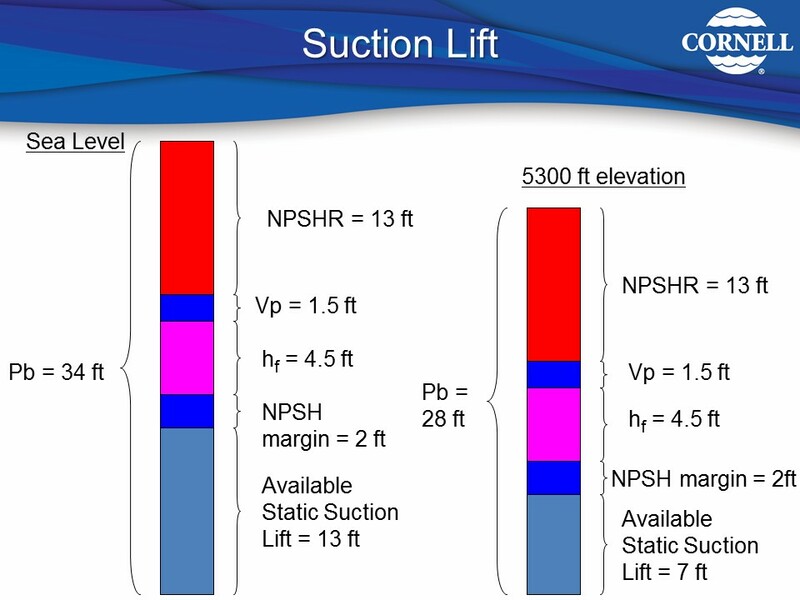 The equation for determining how much of a suction lift you can pull with your pump you can take your Atmospheric pressure(Pb) subtract your Pump NPSHR, Vapor Pressure (Vp), friction losses (hf) and NPSH Margin (Safety factor) and you will have your maximum suction lift. Vp = Vapor Pressure of liquid.